100 pk 41 Caliber 220 RN Rainier Bullets. Free Shipping. If your order exceeds what is in stock or we are "Out of Stock," you can still place your order if "Available in Backorder" is shown next to Availability above. Comparing Prices? Most of our competitors are adding $8 to $15+ for shipping, plus insurance, handling fees and taxes too. 41 Special Bullets For Sale, 220 Grain RNFP. Rainier Ballistics, based in Tacoma, Washington was founded in 1983 and has rapidly grown to become one of largest plated bullet manufacturers in the world. 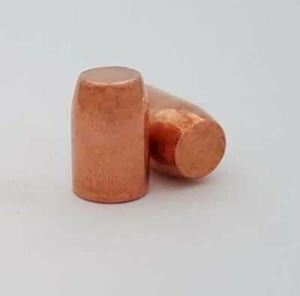 The company’s line of Total Copper Jacketed (TCJ) LeadSafe™ bullets are sold throughout the world. Rainier recommends published jacketed bullet load data when loading their copper plated bullets. A starting powder charge between the listed minimum and maximum load found in various published reloading manuals is recommended with a slight taper or minimal roll crimp. SHIPPING: Free Shipping does not include HazMat fees or shipping for HAZMAT items (Powder/Primers, etc.). HazMat can NOT be returned. Due to government regulations (ITAR), products will only be shipped to U.S. addresses. Overseas addresses will not be accepted. WARNING: Improperly reloaded ammunition can cause serious personal injury. Reloading should only be done by competent adults after proper instructions. Always wear safety glasses when reloading and consult current powder data guides. Since reloading operations are beyond our control, we disclaim all liability for any and all damages which may result. Discharging firearms in poorly ventilated areas, cleaning firearms, or handling ammunition may result in exposure to lead and other substances known to cause birth defects, reproductive harm, and other serious physical injury. Have adequate ventilation at all times. Wash hands thoroughly after exposure. DO NOT reuse any containers. • Brass Casings - CA, DC and MA, please check your local laws for restrictions before ordering any brass products as they have known restrictions. • Bullets/Shot - CA, DC and MA, please check your local laws for restrictions before ordering any shot or bullet products as they have known restrictions. • Powder & Primers - CA, DC, MA, NJ, and NY, please check your local laws for restrictions before ordering gunpowder products and/or primers as they have known restrictions. We reserve the right to change without notice, price, availability, specifications; correct typographic, photographic or descriptive errors and refuse orders at our discretion. 100 pk New Starline 41 Magnum brass cases. Free Shipping. 100 pk 223 Caliber 055 FMJ Hornady Bullets. Free Shipping. 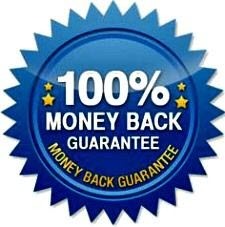 This is an 'add-on' item and is not eligible for free shipping unless the order exceeds $10.00. Colors may vary from picture shown.